Ok, 3 more US motors - can anyone id these for me???!??? 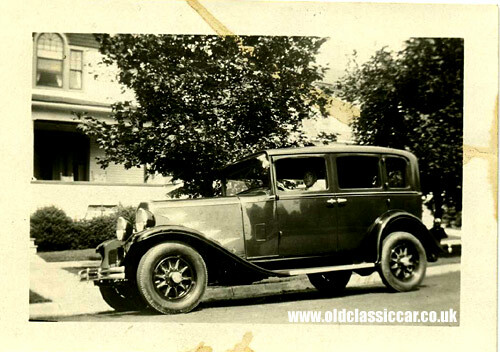 The first is a Hudson of the late 40's and the second is an Oldsmobile I think, mid 40's? Yep - looks like a 1948 Hudson Commodore - I had a Dinky model in the 50s - it was maroon and cream like you said, Alfanut ! I've always liked that combination, last used I think on the mid 80s Citroen 2CV. 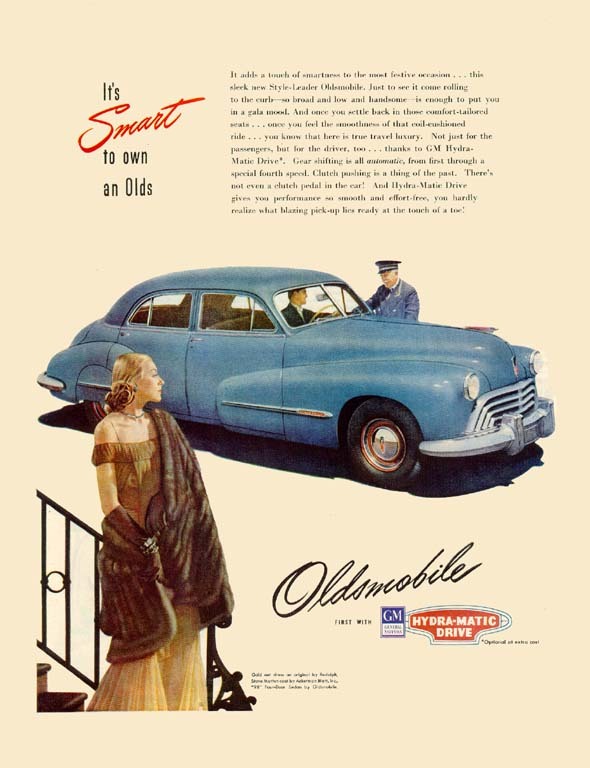 I think the one after the Hudson is a 1947 Oldsmobile .... maybe a Series 98 without its wheel spats ? I reckon number 3 is an Oldsmobile. Couldn't find a pic of a saloon, but the grille on this convertible seems to me to be the same. #1 is a 1949 Hudson Commodore 6 or Super 6. Hard to tell from photo. Thanks for your help chaps!! And finally a veteran car, photographed I'd guess in the 1960s and called Emily.. I'm pretty certain that the first one is a Horch, it looks vast and German, and are those the Auto Union rings in the centre of the grille? Was it Buick that the 'portholes' on the front wings in the early-mid 50s, so that might be number three, but it would take one of the American car experts here to say which model. Number 4 looks pretty much like this 1906 Cadillac 10hp model M that was sold in July 2005 at the Sharpe Family Collection auction just a couple of miles from me. Could be onto something there Brian, the similarity is spot-on isn't it! wonder if its the same car? the one in my pic has J73 as the registration, perhaps the Veteran Car Club has records going back a bit? The car was first registered on 7th May 1906 by Stirling County Council and came to be part of the Sword Collection in Scotland. In the second dispersal sale of the late John Sword's collection in March 1965 it was sold to a Dutch buyer for £1700. The Sharpe family bought two other veterans at the sale, and added the Cadillac when, en route home, they came across its disillusioned buyer stranded by the roadside with engine trouble, and bought it off him! The tax disc on the vehicle in 2005 expired on 30th September 1930, as it was auctioned as being in original condition, I very much doubt it was the "Emily" in your photograph. In 2005 it fetched £14000. "J" reg numbers are now only issued in Jersey, so I wonder if Emily has a history in the Channel Islands?